Traditionally, the U.S. health care system has not directly taken on the social and environmental factors – like poverty, homelessness and hunger – that we have long understood contribute to poor health. But we at the Center believe that can and should change. This month, I’m thrilled to share with you several resources on the connection between health and housing, an area that is ripe for consumer and community advocacy. If you have a few minutes (4:27 to be exact), please watch “Advocacy Saves Lives,” a new video produced by Community Catalyst that shows how formerly homeless individuals are part of the movement to advocate for more housing-related supports. 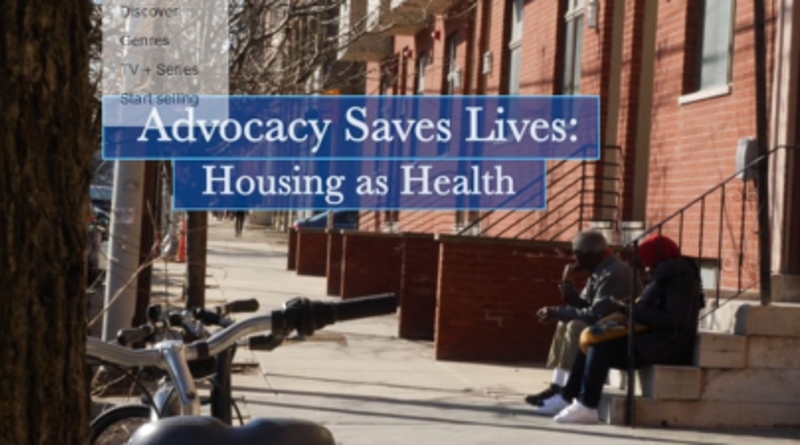 The video features the work of Center partner the Pennsylvania Health Action Network (PHAN) in building a Housing as Health coalition in Pennsylvania along with other advocacy groups and housing organizations like Project HOME in Philadelphia. The video highlights the importance of engagement by and for consumers, particularly those with complex needs, and the powerful contributions that people sharing their lived experience can bring to these efforts. If you have a bit more time, consider reading Lauren Taylor’s concise summary of the literature to date on housing and health, in a health policy brief for Health Affairs. The bottom line: there’s lots of good evidence on the link between health and housing, though the field would benefit from more rigorous research, particularly into the effects of healthy neighborhoods and housing issues in suburban and rural areas. There are three companion briefs in the same edition of Health Affairs that focus on specific housing policies (housing mobility programs, the low-income housing tax credit and inclusionary zoning) as strategies to improve access to affordable housing. As health care advocates, we’re particularly interested in ways that the health care system can better support safe, affordable and stable housing as a way to improve health. We’re working with housing organizations, community-based organizations and health systems alike to identify opportunities for all parties to reap the benefits of healthier people and communities through affordable housing and housing-related services. We’ve seen great examples of health plans and hospitals that are investing in affordable housing and we’ve been encouraging implementation of the Affordable Care Act’s requirements for community benefit strategies for non-profit hospitals in a way that creates meaningful value for communities. But the future is not necessarily rosy. A recent blog post in the JAMA forum by Community Catalyst Executive Director Robert Restuccia and Howard Koh of the Harvard T. H. Chan School of Public Health and the Harvard Kennedy School highlighted some of the opportunities, but also the threats, facing housing and health initiatives. We’ll need strong voices – like those featured in the “Advocacy Saves Lives” video - to ensure that promise becomes reality. Do you have examples of advocacy for housing and health to share? Tweet us @CCEHI!